Last year I was doing a lot of cupcake baking. 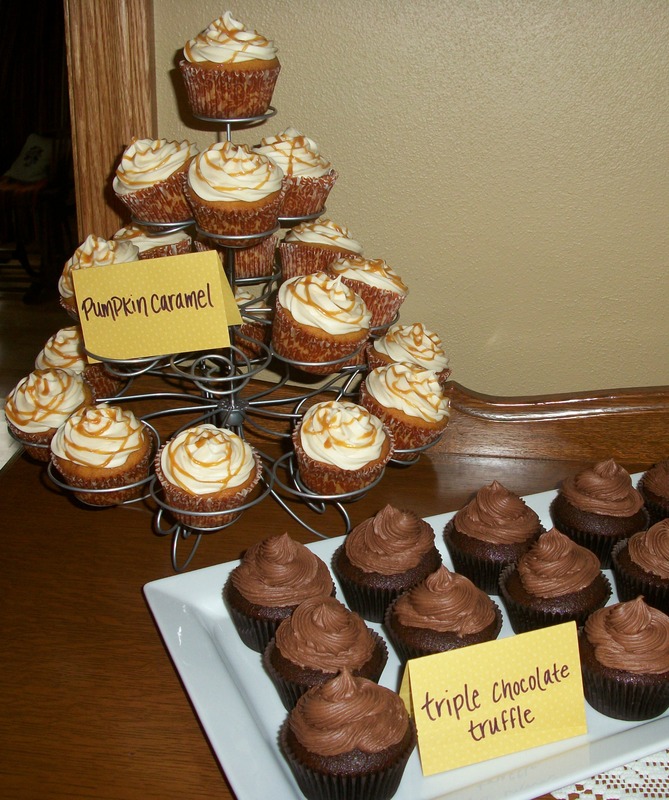 And at one point during my busy cupcake season, I decided that ALL of my cupcakes needed caramel in them. In theory, this wasn’t a problem at all. But in reality, I sucked at making caramel. Seriously, I’ve thrown out an embarrassing amount of giant lumps of burnt sugar over the years. 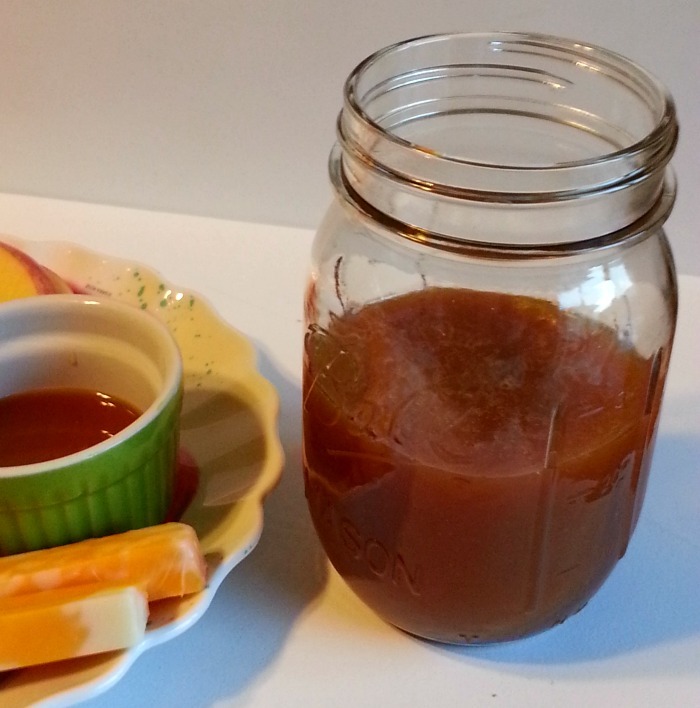 And then one day, I finally came across a simple caramel sauce recipe that has yet to fail me. The best part is that it contains only three ingredients. Just sugar, butter, and cream. Pretty much life’s essentials, right? The unfortunate part is that it doesn’t photograph well. At least not for me. Camera phone + no photography skills= crappy caramel photos. But the recipe is worth sharing, so we’re just gonna roll with these craptastic photos, mkay? I’m not sure where I found this recipe, but I certainly didn’t create it so if it looks familiar to you, let me know so I can give the genius credit. Melt sugar in large sauce pan over medium heat, stirring occasionally until melted & deep amber in color, being careful not to burn. Add butter and stir until melted. Remove from heat. Slowly pour in cream and stir until smooth. Allow to cool in pan, then transfer to mason jar or other sealable container. Store in refrigerator. This stuff is the perfect addition to your favorite baked good recipes, swirls perfectly into coffee, and is pretty fantastic by the spoonful as well. 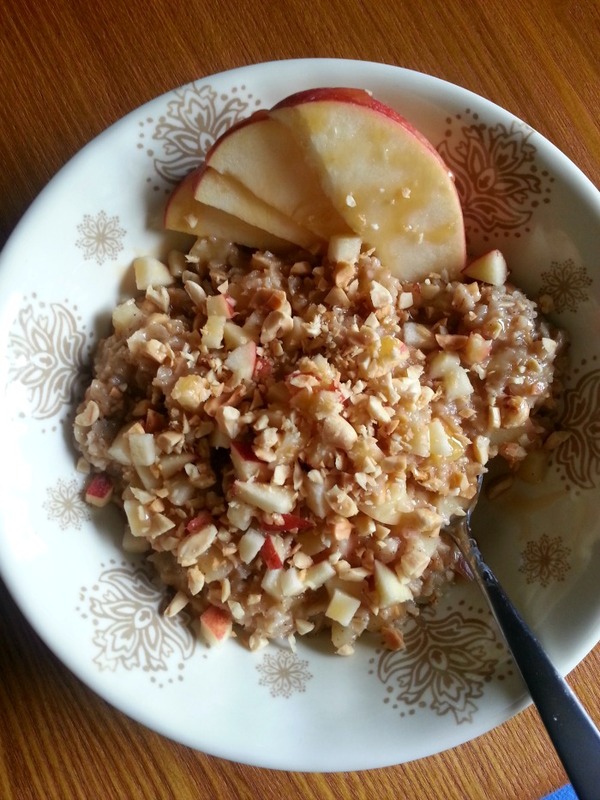 Just last week I dipped a half a dozen apples in it and made a fantastic bowl of caramel apple oatmeal. If you prefer your caramel without a salty flavor, you could use unsalted butter too, but I highly suggest going the salt route. SO GOOD! holy crap. 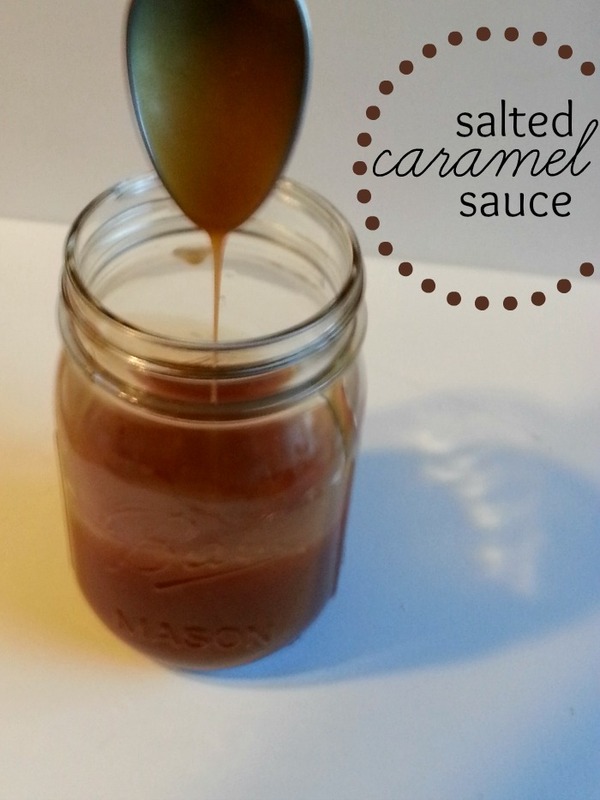 this is the first caramel recipe that doesn’t scare the crap out of me. secret confession: i’ve never made my own caramel before…i know. what the what? i need to try this soon. after my sugar detox next week? I know. They are all so intimidating! This one is so simple and sooooo delicious!. You MUST try it soon!